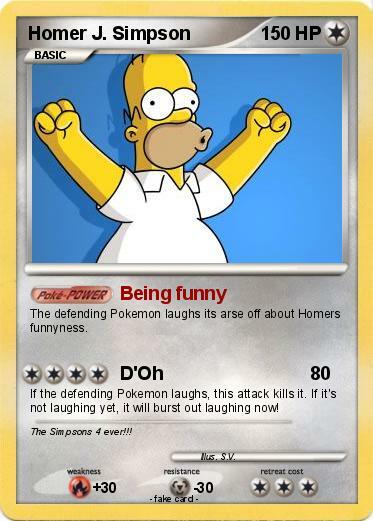 The defending Pokemon laughs its arse off about Homers funnyness. If the defending Pokemon laughs, this attack kills it. If it's not laughing yet, it will burst out laughing now! Comments : The Simpsons 4 ever!! !